Banana peppers are named for their long, tapered banana-like shape and yellow color. They are grown in two varieties, hot and sweet. 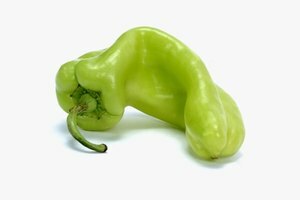 Banana peppers are members of the chile or chili pepper family, cousins to the jalapeno, de arbol and the world's hottest pepper, the bhut jolokia. 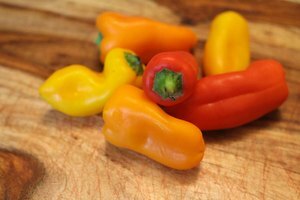 As the banana pepper matures, it changes color from green to pale yellow to orange or red, and the respective varieties sweeten and become spicier as they ripen. The hot variety are known as yellow wax peppers or hot Hungarian peppers. They are bright yellow, like a banana, and short with a tapered end. 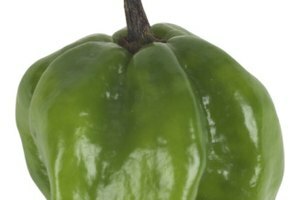 The heat or spiciness of chiles is measured in Scoville units, from zero to about a million. The yellow wax pepper is moderately hot, measuring about 3,500 to 4,000 Scoville units. Its level of heat is similar to a jalapeno or a pasilla. 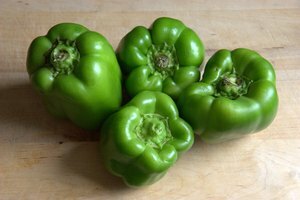 The sweet variety are also known as Hungarian peppers, so be sure to sample before using them in a dish. The shape is the same, but the sweeter, more mature peppers take on an orange to red cast. 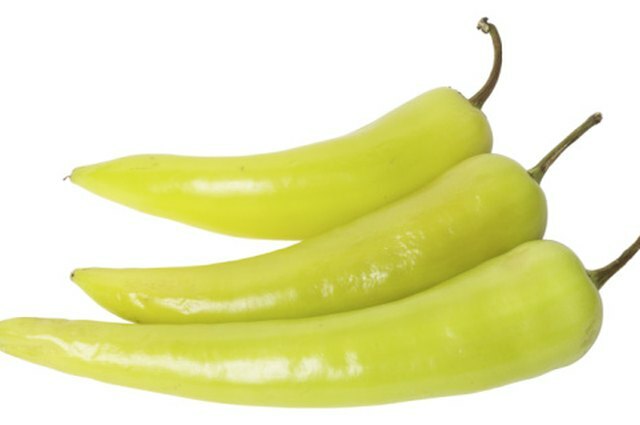 Sweet banana peppers are sometimes confused for the Italian pepperoncini peppers. Both belong to the Capsicum annuum species, but they are different varieties. 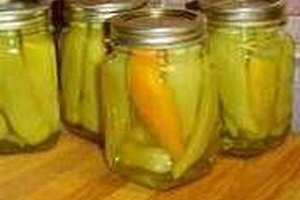 Banana peppers are commonly pickled and used in salads or on sandwiches. Fresh banana peppers can also be seeded and stuffed with cheese, then fried or baked. Seed and chop banana peppers to flavor stews, sauces and other dishes. Like all produce, peppers are best when they are in-season. Banana peppers cannot tolerate extreme cold or frost, so they are best planted indoors in the winter and transplanted in spring. Peppers can be harvested when the weather becomes warm, and banana peppers can be eaten at any stage. Young, green or light yellow peppers will be milder in flavor. As they mature, the sweet variety sweetens and the yellow wax peppers become hotter.